NASA's Solar Dynamics Observatory captured this image of a solar flare – as seen in the bright flash on the right side – on Sept. 10, 2017. 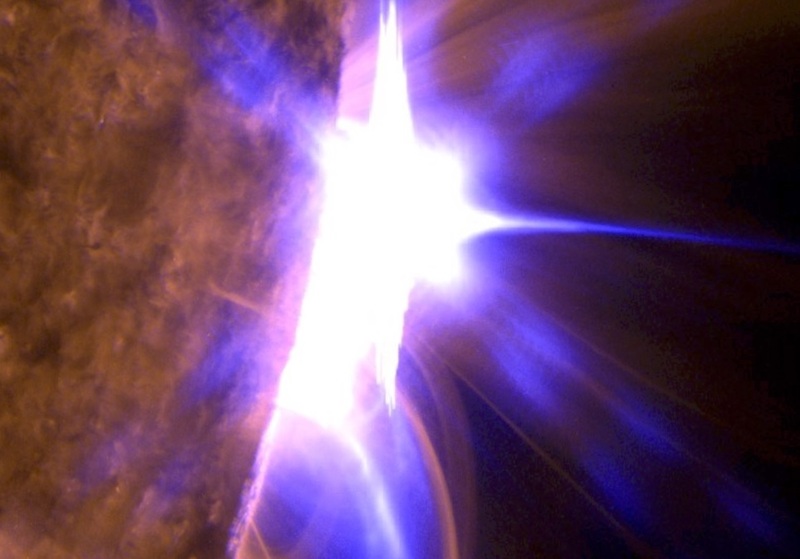 The image shows a combination of wavelengths of extreme ultraviolet light that highlights the extremely hot material in flares, which has then been colourized. Sunspot AR2673 materialized with shocking speed on Sept. 3rd. Three days later it unleashed the strongest solar flare in more than a decade with a X9.3-class eruption that hurled a CME directly at Earth. The region released a total of 4 X-class flares in a memorable five days with two of the flares being the biggest in years. The sunspot has now gone around the bend, commencing a 2-week journey across the backside of the sun. Will it still be as potent when it reappears 13 days from now, or will it be even stronger? This animation shows both the X2.2 and the X9.3 flares that the Sun emitted on Sept. 6, 2017. Has the Sun gone back to sleep, hardly, a massive Coronal hole has turned on the eastern limb and is now facing the Earth. 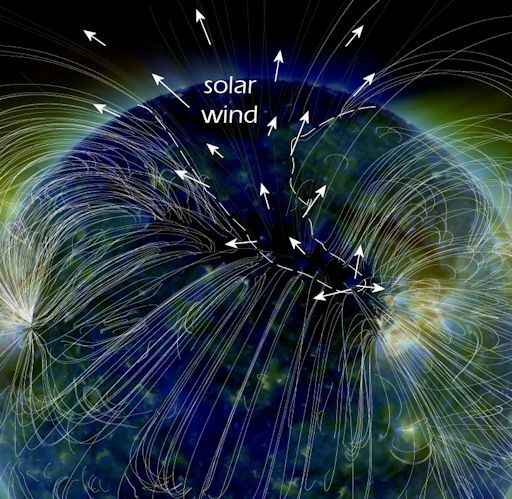 According to Spaceweather.com NOAA forecasters say there is a 65% chance of minor G1-class geomagnetic storms on Sept. 14th when a stream of solar wind reaches Earth.